The Communication Workers Union has kick-started a nationwide campaign to save 9500 jobs set to axed by Telstra during the next three years, through an online petition calling for change. With 175 signatures so far, the union is calling on Federal Government and key stakeholders to “step in” and make the telco giant reconsider wide-ranging restructuring plans. “Telstra workers have been ambushed by management and told that nearly a third of them will be made jobless,” the petition stated. “There has to be a better way. Representing nearly one in three workers, the union aims to gather support from government and the wider community to trigger change. “Unless the Government acts to stop Telstra putting profit before people, these job losses will devastate Telstra workers, their families and the local communities that these jobs support,” the petition added. “Telstra isn’t just an ordinary phone company, it’s a former public asset that still provides essential telecommunications services such as 000, and other vital services in rural and regional Australia. 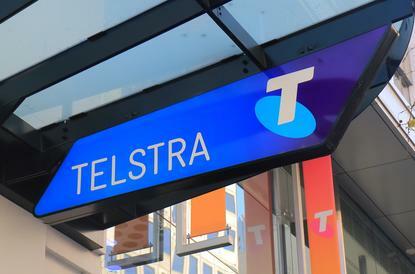 In a statement to shareholders on 20 June, Telstra said this was a part of a new plan to simplify its operations and product set, aimed at improving customer experience and reducing costs. As reported by ARN, and as a consequence of Telstra2022, up to 8,000 employee and contractor roles will be impacted, reducing about 30 per cent in labour costs for the telco. Specifically, this will include removing one in four executive and middle management roles to flatten the structure, Telstra said, effectively stripping away two to four layers of management. This is due to the creation of Telstra Global Business Services group which is set to consolidate all large scale “back of house” processes and functions using technology to reduce costs for large repeatable functions.